This beauty says it all. 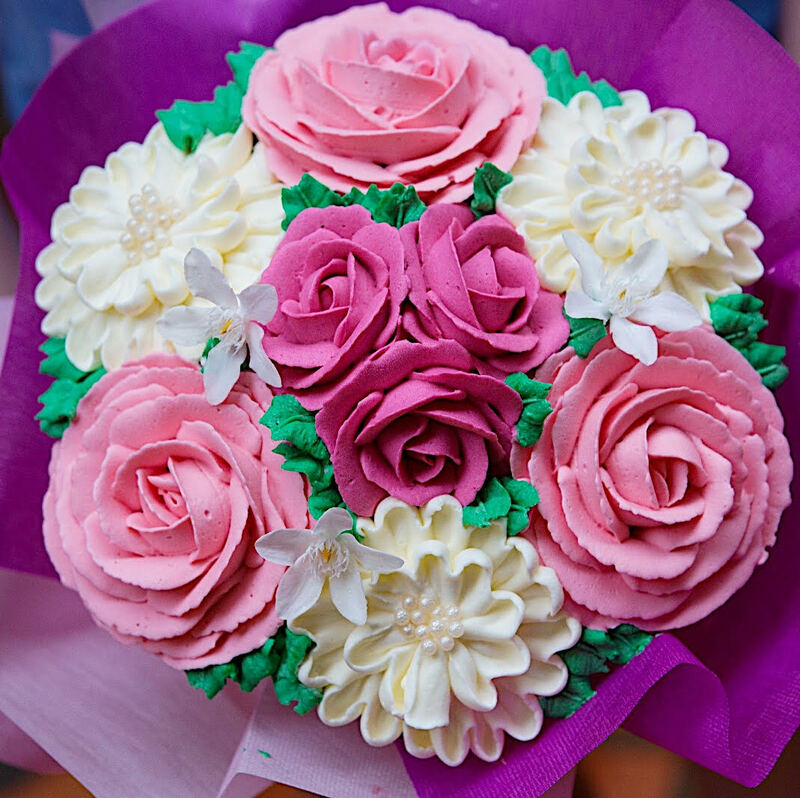 Create the magical moment with this specially designed bouquet! Pleasing to the eyes and satisfying to the tummy with zero wastage after your wow factor delivered! 100% edible, each signature Floral Cupcake Bouquet holds 7 cupcakes together in flavors Earl Grey Lavender, Red Velvet & Belgium Chocolate Fudge.